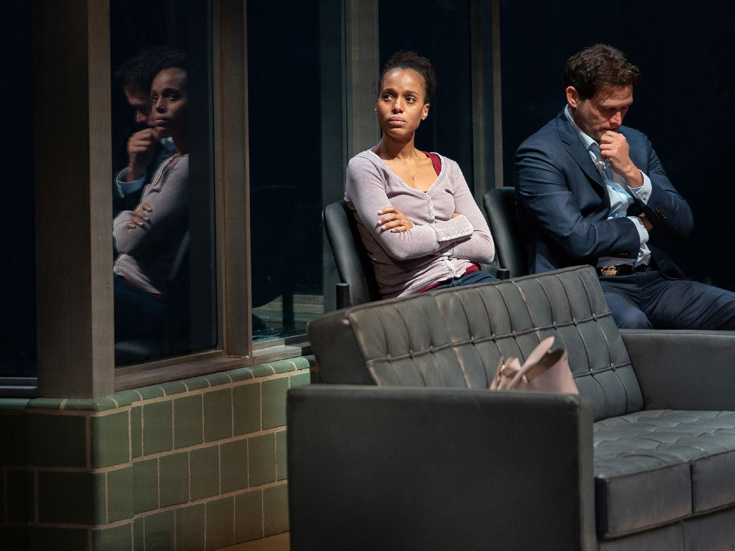 Kerry Washington & Steven Pasquale in "American Son"
Christopher Demos-Brown's acclaimed Broadway-debut play, American Son, concluded its run at the Booth Theatre this weekend to strong box office receipts and SRO crowds. In its final week on Broadway, the play starring Emmy-nommed Scandal star Kerry Washington posted a gross of $798,281.75, up from last week's box office of $738,615.95, filling the Booth to 102.18% capacity, an increase from last week's 99.76%. For audiences who didn't get a chance to see the hot-button play in person, don't fret; it's being filmed without an audience for airing on Netflix. Here's a look at who was on top—and who was not—for the week ending January 27.